In celebration of Head Start’s 50th Anniversary, I recently had the opportunity to view the video PANCHO, which was one of the first documented Head Start success stories. Pancho Mancera was one of the first children served 50 years ago in the summer of 1965. Pancho’s story has been repeated hundreds of thousands of times over the last 50 years. Families and their children who have been identified and eligible for Head Start have seen their lives change dramatically because they’ve had access to health screenings, access to parent trainings and access to settings which make learning fun and engaging. What is unique about Pancho’s story is that he was the son of a farmworker. He was from a Spanish speaking home yet, in the video you hear him speaking perfect English. 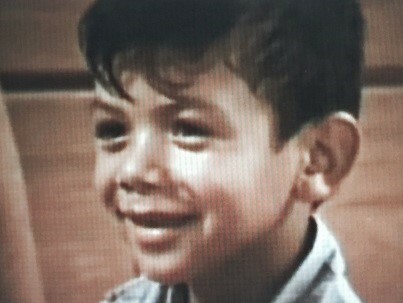 Yes, 50 years ago, despite not having the research we have now, Head Start helped Pancho become a successful, bilingual child. As the Founding Executive Director of the National Migrant and Seasonal Head Start Association, I’ve seen Head Start be the difference for families. As the demographics in our country have changed, we have seen a change in the children Head Start serves. However, we still see Latino children underrepresented in Head Start based on the percentage of eligible children; which is why access is so important. For many of these children, Head Start provides their best opportunity for early success. As witnessed in Pancho’s video, Head Start is more than just the educational component. The health, nutrition, and parent engagement features provide a comprehensive approach to supporting families and children. I recall once being in a Head Start classroom where a child was being shown where he would take his naps and as the teacher was showing him the cot where he would rest, he said “¿yo solo?” meaning “just me?” It was the realization that he would have his own place to sleep and not have to share it with multiple family members. It was probably the most peaceful sleep he would get all day. Imagine, that something as simple as a nap can make a difference for children. Towards the end of the video of Pancho’s story we hear him talk about Superman and Batman. Fifty years later, those same conversations are happening in Head Start classrooms around the country. Our charge is to be advocates for the Panchos of our country who have yet to find their way to a Head Start program and advocates for those children who don’t get Head Start, not because they aren’t eligible or haven’t applied, but because there isn’t room for them in the program. Let’s celebrate the 50 years of Head Start success but let’s also honor Pancho and his family by ensuring that families, just like theirs, get access to Head Start.